Despite watching his client get dominated by Chael Sonnen at UFC 117 for the better part of 5Rounds, Ed Soares, Anderson Silva’s longtime manager (or mouthpiece if you were to ask Chael), doesn’t believe the chatty challenger’s performance warrants an immediate rematch. “[Anderson] showed what a champion is made of. He fought through all of that adversity and through all of the things that were going on in there and he stayed focus and never gave up and that’s the heart of a champion,” Soares told FightHype.com. The middleweight champion was a runaway favorite to steamroll Sonnen and collect his 13th consecutive victory on Saturday. However, Sonnen was never handed the script and was forced to ad-lib the performance of a lifetime. Unfortunately for the one-time political hopeful, 23 minutes and 10 seconds of perfection wasn’t enough to overcome a split-second lapse in concentration. 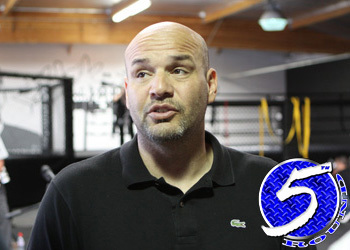 According to Soares, Sonnen’s reluctance to cry uncle was what ignited the confusion at the end of their instant classic. Unfortunately for Sonnen, close only counts in horseshoes and hand grenades and the Team Quest trained fighter was forced to accept his 11th professional loss. Seven of his defeats have come by way of tapout. Nonetheless, his award-winning comedy tour and nearly flawless performance inside Oracle Arena in Oakland, California has drawn rave reviews and the grumblings for an instant mulligan have already surfaced. I don’t know, maybe because Sonnen is the only middleweight that’s presented any resemblance of a threat to “The Spider’s” dominant reign and was only 110 seconds away from humbling the planet’s baddest 185-pounder before his Hail Mary was miraculously answered in the closing ticks?